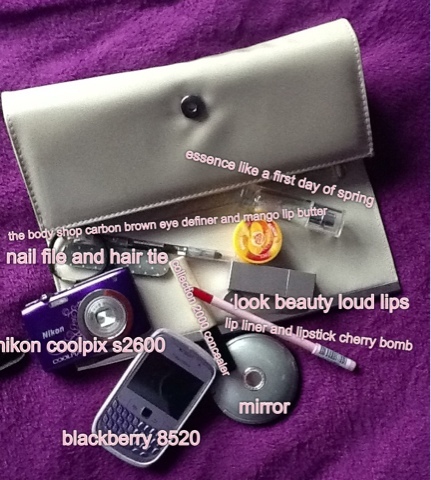 Coleoftheball: What's in my clutch bag? Today I went to my little cousins christening and I thought I'd show you what I took in my clutch bag ! It is always nice to see what people like to take with them. I'm always amazed at how much it varies from person to person. I have nominated you for the Liebster award on my blog, as I have really enjoyed reading yours.